Cities Connection Project | JANUS HOUSE. PONTE VALENTINO. An half crest field under the centre of the village with a great panoramic view on the valley’s amphitheatre . All around great mountains with oblique shapes. Ponto Val- entino and its strong vernacular prismatic houses, placed in random order, fitting to the topographic lines. 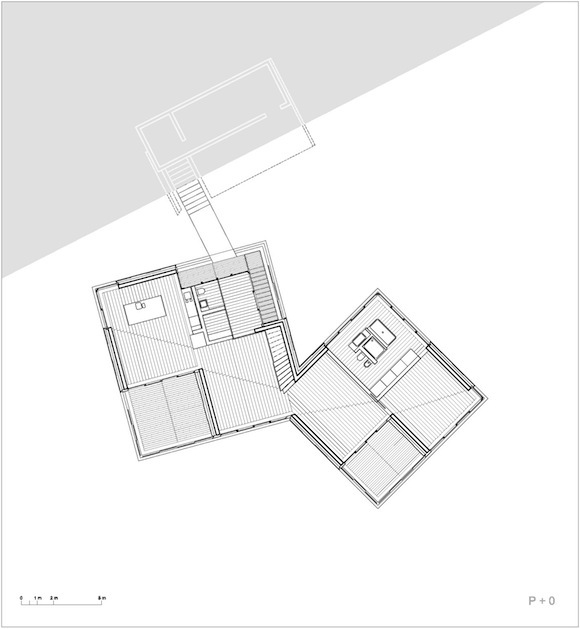 A House for a couple: two square volumes that follow the topographic order of the valley and the ground, a roof that connects. Two become one. The orientation of the volumes and the entrance is not orthogonal, every side looks different to the eye. Three levels: the secondary spaces placed in the ground, the domestic space of the man which open itself to the valley, two studio’s spaces in the roof which turn to the sky and the mountain. 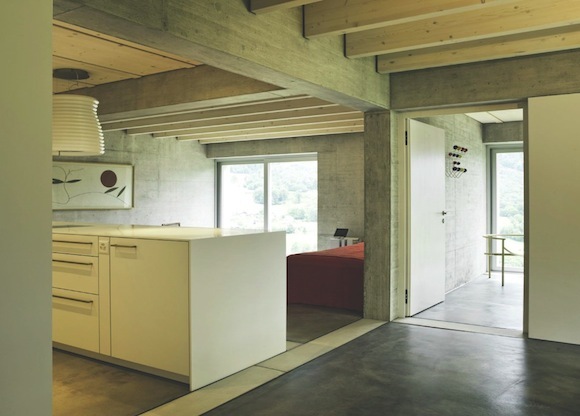 The horizontal cut of the openings at the piano nobile defines the three parts of the volume, the roof follows the lines of the slope and the mountains. A sequence of diagonally linked rooms creates the jour- ney. The section defines different internal heights and the character of the spaces: moving through the spaces you discover frame of landscapes. The diagonal designs plants, section and construction details. A project of structure; a contemporary construction sys- tem which recalls the traditional stone wall houses with timber constructed roofs and slabs .